March 26: Unite Regional Officer with responsibility for the public transport provider Translink, Davy McMurray, has written an open letter to DRD Minister Danny Kennedy asking him to intervene urgently to ensure a meaningful consultation with the public on proposed cuts to rural bus services. “The Minister needs to step in to ensure that the public consultation on proposals to cut 41 rural Ulsterbus services is genuine. The current consultation process continues only to April 10th – which gives the public significantly less than four weeks to respond. “In addition, Unite has serious concerns about the timing and location of public information meetings. Information sessions running from 7 to 9am are not genuine attempts to consult. It is also inappropriate that information events on bus service cuts in train stations are not designed to engage users. “Even the timing and location of information sessions is difficult to come by and are well-hidden on the Translink website. The company placed no ads in the local press to raise public awareness. The online survey is replete with leading questions and is clearly designed to justify a decision to cut services. “All the evidence suggests that this is only a sham consultation process; a fig-leaf for Translink allowing them to avoid any real public engagement. “At the same time, neither the public nor trade unions have been given any information on the proposed cuts to Metro and NIR services. We do not even know whether there will be even a sham consultation in this case. “When we met him recently and raised these concerns, the Minister justified the process on the grounds that Translink was exempt from Assembly legislation ensuring twelve week consultations. When pressed further on this issue, he admitted he considered it politically inexpedient for him to have a full consultation process in advance of an election. “There can be no excuse for the absence of meaningful consultation. Bus routes provide a vital service to rural communities, slashing provision will undermine access to healthcare, amenities and commercial centres to many of the most vulnerable. The cuts being proposed by Translink will have a devastating impact on those elderly, families with children, the sick and disadvantaged who rely on public transport. The conscious decision to proceed with a ‘sham’ consultation process reflects a failure to recognise the validity of these concerns. 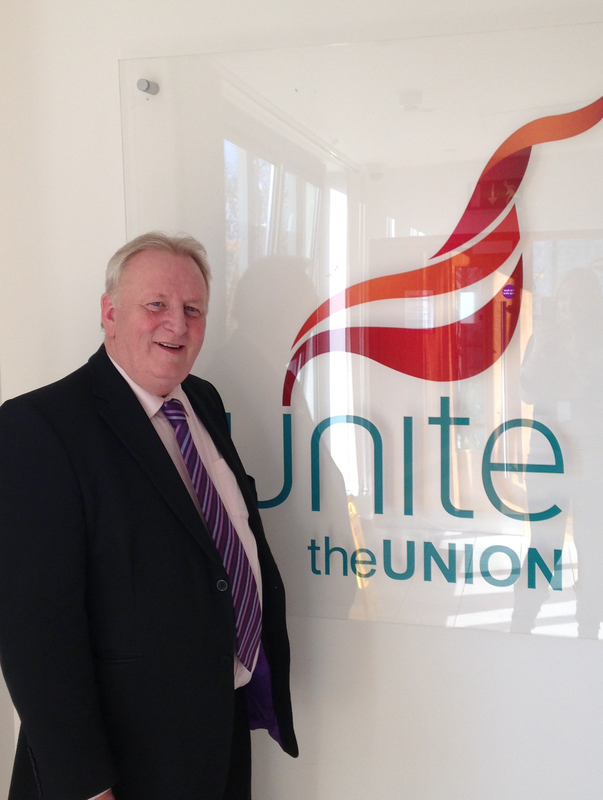 “Unite will not stand idly by and watch as our public transport system is decimated. We have already witnessed the strength of workers’ opposition to austerity cuts on March 13th, we are in consultation with our members on dates for follow-up strike action ahead of the election”, Mr McMurray concluded. This entry was posted in Austerity, Campaigns, Northern Ireland news, Press Releases, Sectors and tagged #UniteAgainstCuts, Danny Kennedy, Davy McMurray, Public Transport, Translink, Unite NI. Bookmark the permalink.